According to the Ministry of Defence spokesman Jakub Fajnor the Czech Republic will end its financial contribution to the maintenance of Czech(oslovak) war graves in Russia - The opposition Pirate Party questions the Czech Republic’s commitment to spend 2 % of GDP on defence as per our NATO membership – Czech Police mission in Serbia to be reinforced - L-39NG program remains a key priority to AERO new CEO says - The Nordic Fires 2019 exercise held in Sweden ended. According to the Ministry of Defence spokesman Jakub Fajnor the Czech Republic will end its financial contribution to the maintenance of Czech(oslovak) war graves in Russia. The decision comes in reaction on the longterm situation which shows neglect of the Czech war graves by Russian institutions. In total the Czech Republic spends CZK 5 million (USD 220 thousand) on war graves abroad. In Russia it is maninly the graves of the 1st World War and post-War Czechoslovak legionaries who fought against the soviet revolution, and are widely seen as enemies to Russia by most Russians. The opposition Pirate Party questions the Czech Republic’s commitment to spend 2 % of GDP on defence as per our NATO membership. It’s chairman said that a debate should be held on what are the real needs of the Czech Army rather than reaching an economical goal. His colleague Ferjenčík said the total costs concerning the running Infantry Fighting Vehicles acquisition could be used to balance the pension account until 2035. According to Prime Minister Andrej Babiš such stance is irresponsible populism. Czech Government plans to reach the 2% expenditures by 2024, and the Army runs or needs to start many modernization and acquisition projects in order to keep and develop its capabilities. Since 2016 the Czech Police supports its Serbian counterparts in guarding the border with Bulgaria, a measure adopted within the current need to answer the illegal migration waves. There were 15 Czech Police officers serving in Serbia, they will now be reinforced by another five men. Another 40 Czech Police officers serve in Macedonia. The Nordic Fires 2019 exercise held in Sweden ends with the last Low Level Flights, Air to Air Refuelling and cannon live fires on air targets by the JAS-39 Gripen fighter jets of the 211th Tactical Squadron carried out on tuesday and wednesday. 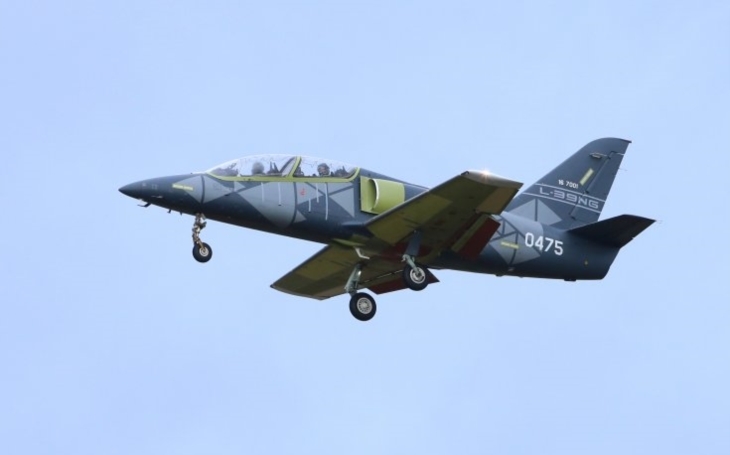 The combat aircraft returned back to the home Čáslav base on 11th April.